Austin was one of the first places where eating out of a trailer was très chic. The fad may have come and went in less weird cities, but here in the Texas capital food trailers are here to stay. From the Riverside Corridor to UT, every area of downtown Austin has it’s own corral of food trailers offering just about every type of cuisine imaginable, and more trailers seem to be popping up everyday. We imagine that in other countries Indian food is probably commonly sold out of trailers, but not in America – unless you’re in Austin. Chefs Sidney and Anthony have over 20 years experience whipping up delicious dishes and it shows. The beautifully lit outdoor retreat is as good as the fresh baked naan, samosas, masalas and other well-priced menu items. 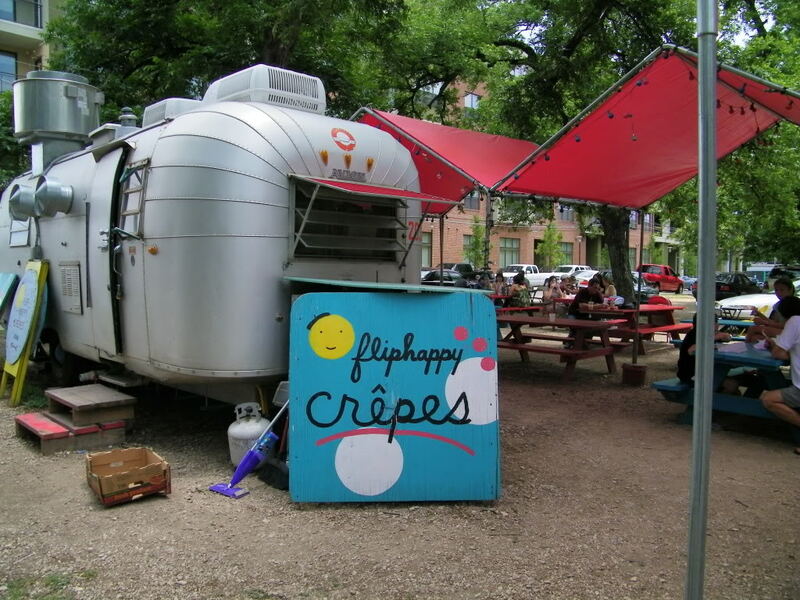 This food trailer helped put Austin’s outdoor eateries on the map when celebrity chef Bobby Flay took on Flip Happy owners Nessa Higgins and Andrea Day Boykin in a crepe cook-off – and lost. Offering sweet and savory French cuisine, Flip Happy offers the delicacies of an upscale restaurant without putting on airs. 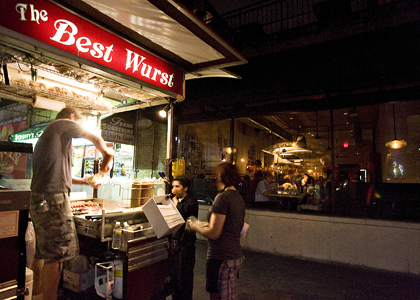 It may be more of a stand than a trailer, but as one of the original mobile Austin eateries Best Wurst has earned its spot on the list. Of course Texas is known for its TexMex, but German influence in central Texas has had a serious impact on the cuisine. The name says it all – the menu may not be long at Best Wurst, but the food is loaded with goodness. It’s the best way to satisfy a late night meat craving. 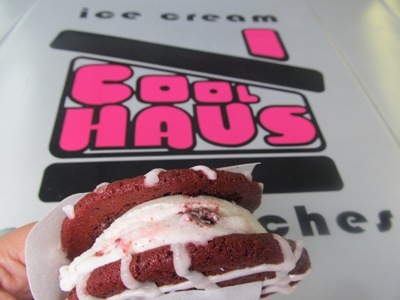 Cool Haus is giving Hey Cupcake! (another great Austin food trailer) a run for its dessert money. While this isn’t an Austin-only venture, the mini-chain is serving up ridiculously good homemade ice cream sandwiches from food trailers in a few select cities. No matter how strange the combination – like potato chip and butterscotch – each bite is taste bud heaven. It’s the sweetest way for Austinites to beat back the heat during sweltering summers. 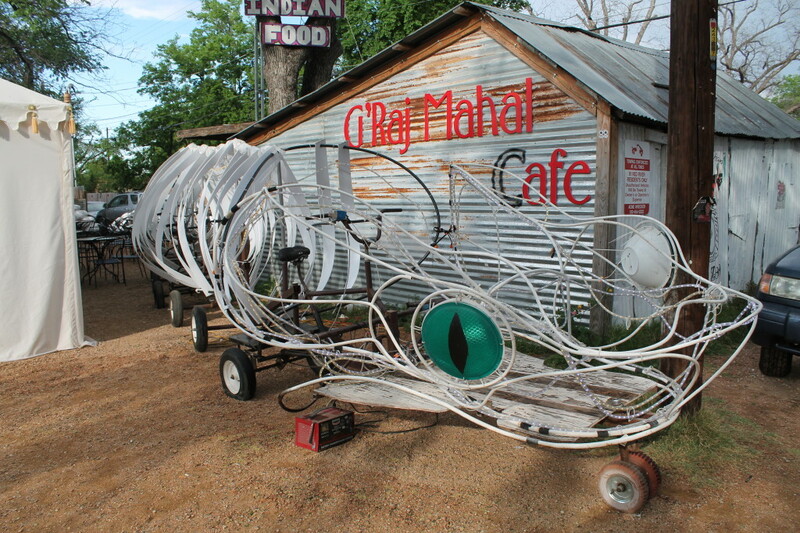 This roving trailer can using be found at 6th & Waller, but bounces around other locations. Check the calendar on the locations page of their website to see where they’ll be. Can’t decide which food trailer to hit up? We understand. Our list would have been a mile long if we would have mentioned every awesome food trailer in Austin. Luckily, there are a number of food trailer parks around town with tons of options all in one place. These are just some of the larger food trailer parks and by no means the only ones in Austin. As you drive through the city or take a private car service it’s easy to spot these shiny, Airstream beacons of food goodness. Don’t be afraid to take a risk on a food trailer, they’ve proven when it comes to Austin cuisine they reign supreme.